Last night Obama did a great job on style and substance, but the right wing media called it a draw. Suuuurrre it was. NOTE: At no time do I support actual violence toward any political candidate. 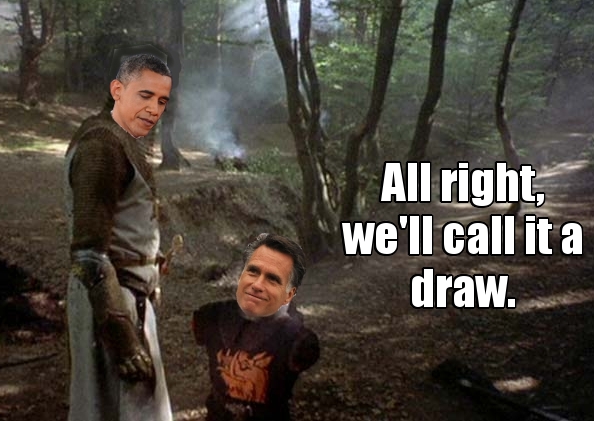 This parody/fantasy image from “The Holy Grail” is meant to metaphorically show the damage that Obama did to Mitt and his positions in the debate.